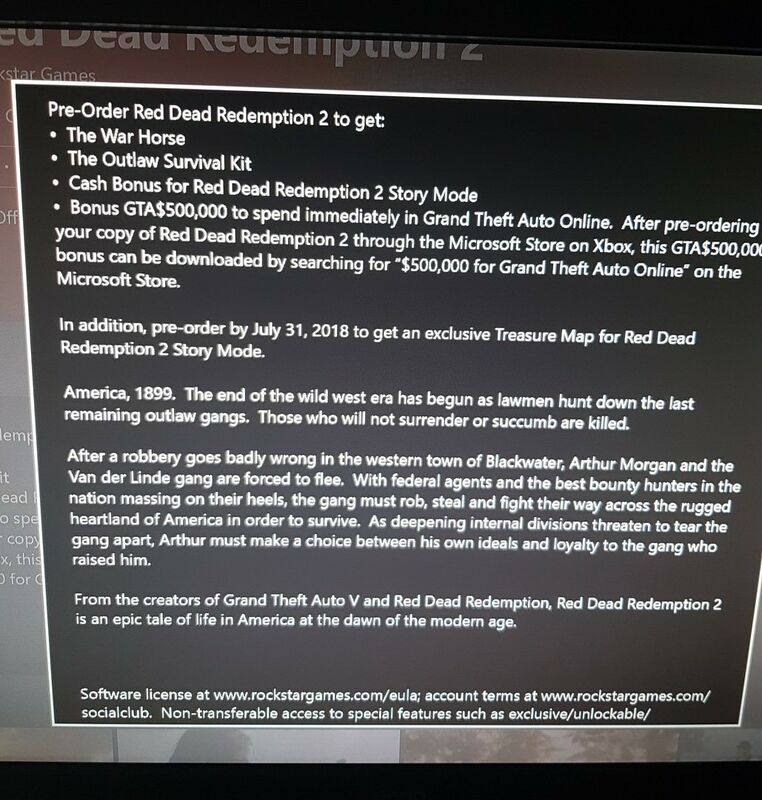 You can't even escape GTA Online by purchasing RDR2. That's a pretty lean offering for a pre order IMO. Here all the pre-order and special editions. Gameplay trailer is coming tomorrow! The game looks good but am I the only one that things the player/human models are outdated and that the animations look stiff? Kind of looks like a very pretty PS3 game. I won't post that on OS for fear of being flamed but I think some things look a bit off. Looks just fine to me. 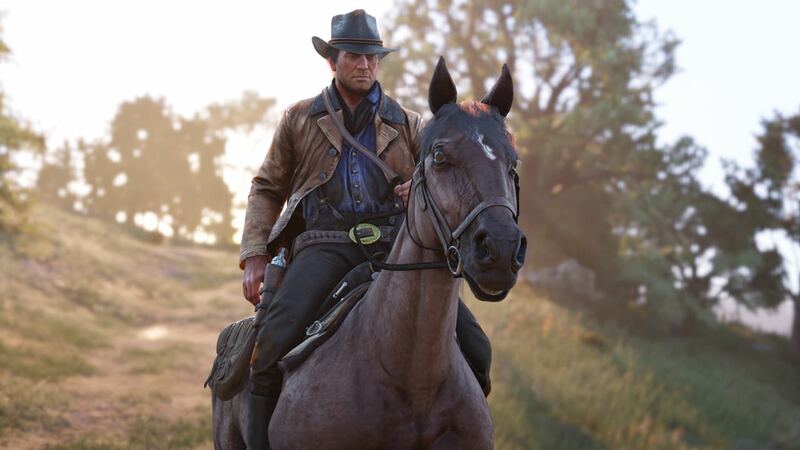 My only complaint is Arthur Morgan seems like a fairly boring character. Like Aiden Pearce from Watch Dogs dull. - Has 1st person mode. - Each character will have different sets of clothes to coincide with weather conditions. - Clothing customisations go as far as allowing layering and minor adjustments, like the option to roll up your sleeves. 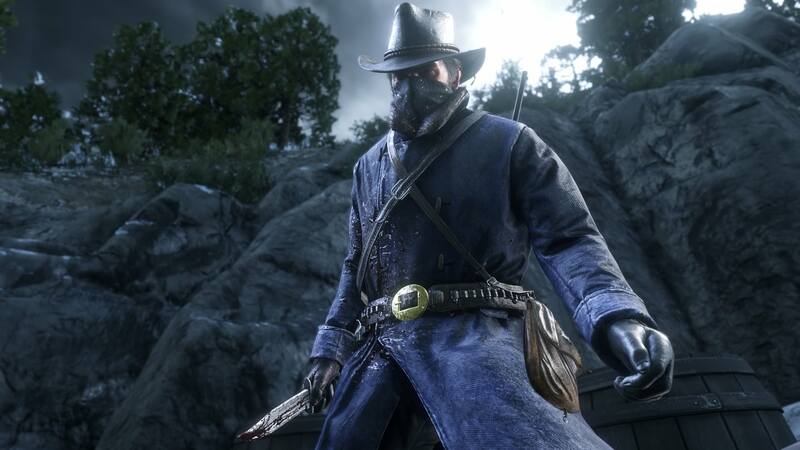 - You can physically see all your weapons on Arthur's character model--you can hold only hold two sidearms and two long weapons (along with a knife, lasso, and throwables). - Like the first game you have a range of choices, and your decision affects your honor meter. - Dead Eye now has 5 levels, Level 1 allows for slowdown, Level 2 allows you to paint targets and unleash a barrage of shots, and Level 3 allows you to manually pick your shooting points, etc. - Gun customisation, such as engravings. - Beard grows over time, but you can shave. - You get hungry over time, but you can get fat if you eat too much, effecting stamina. - Stats like stamina can be raised by doing physical activities (such as in GTA V or Bethesda RPG's). - When hunting, you can sell the carcass or take it to the butchers for meat. If you leave it too long, it'll rot. - Your camp will not wait for you. 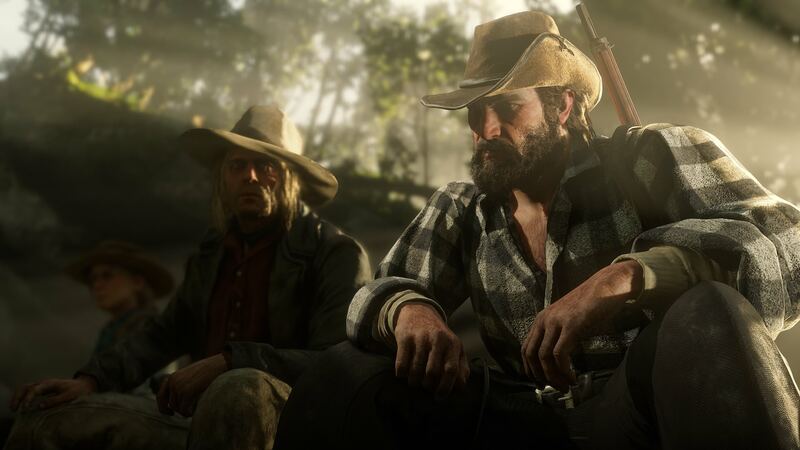 Members of your gang who reside at camp will come and go, and finding out where exactly they've gone from others will be the basis of a number of quests and side quests. - You can name your horse. Yes, First person mode is what I need. Last edited by bdoughty; 09-20-2018 at 09:43 AM. Honor is deeply integrated into the game, and works in the background to influence interactions with the world and its characters from moment to moment. While Arthur is an unrepentant outlaw, you still get to decide what kind of outlaw he is. Arthur’s honor will change based on the choices made in his daily activities, and varying levels of honor will have different consequences and opportunities – not all of them immediately obvious. 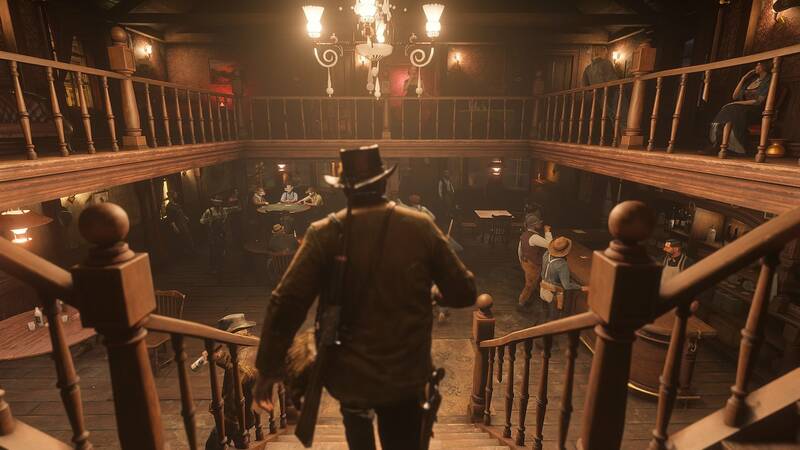 For example, if playing as a more dishonorable character, the world will respond to you differently - robberies will pay more, it will be easier to intimidate witnesses and kill shots will be more intense. If playing honorably, bounty hunting jobs will pay more, and kill shots will be more heroic. Your honor will subtly shift back and forth based on the choices you make as you play. From Dynamic sweat to Dynamic Poop. 2K knows dynamics. 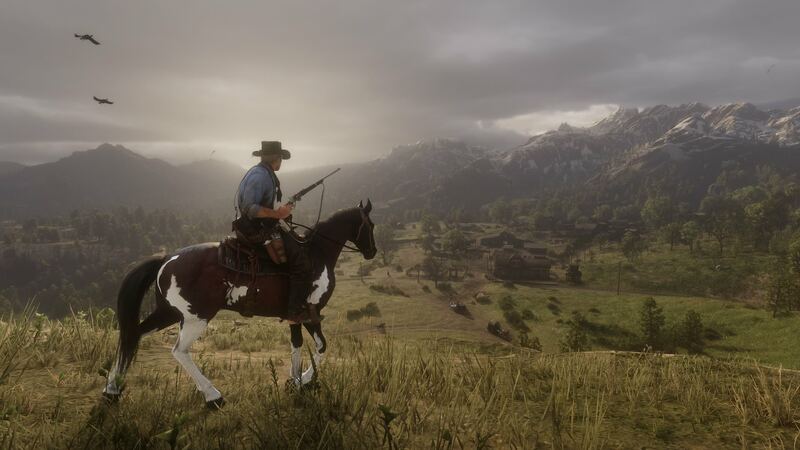 Kotaku did one up IGN, in regards to horses. I was told that horses come in various breeds, and that you can bond with them and learn new skills, like a dramatic skid-stop or a dressage side-step. After seeing the game’s first trailer, we and others had wondered if the horse’s testicles were animated. I asked, and they told me that the testicles shrink and expand depending on the temperature in the game world. Details, details. Some of those RPG elements seem excessively deep. I hope fans enjoy eating and changing clothes. Not sure about some of that stuff. You are looking at it as work, I see the potential. 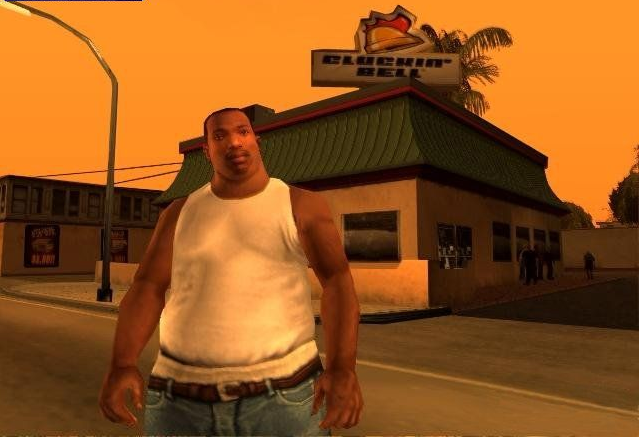 Fat CJ was a blast to play with. Rockstar knows what they are doing. On the Christmas list but I won’t be jumping at the launch. With so much under the hood Expect a lot of bugs at launch. I Look forward to all the impressions though. 90 freaking GB install. Holy crap. Realistic Horse Testicles don't come cheap. Might also be the rest of the 300,000 animations and 500,000 lines of dialogue read by 700+ SAG Actors. The time spent on this game is crazy.